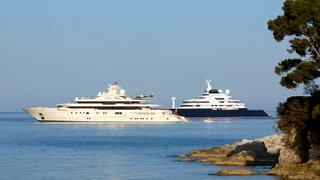 We bring you an updated collection of photos of yachts arriving in the French Riviera for the Cannes Film Festival. This trio of superyachts is Secret Life, a 45.02m classic Feadship available for charter in the French Riviera; 56.73m Amels luxury yacht Cleopatra C; and Sheergold, another Amels yacht that measures 42m. 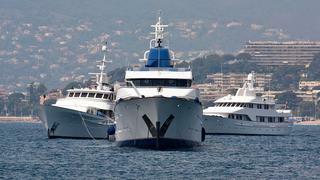 We bring you an updated collection of photos of yachts arriving in the French Riviera for the Cannes Film Festival. 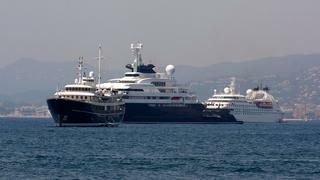 This trio of superyachts is Secret Life, a 45.02m classic Feadship available for charter in the French Riviera; 56.73m Amels luxury yacht Cleopatra C; and Sheergold, another Amels yacht that measures 42m. 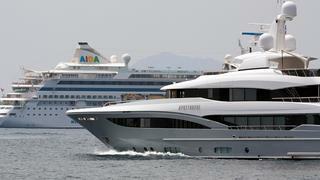 Another luxury yacht to join the fleet of superyachts at the Cannes Film Festival is Apostrophe, a 37m built by Hakvoort. She took five years to build but it was well worth the wait; in 2014 Apostrophe won a joint ShowBoats Design Award for her exterior styling. 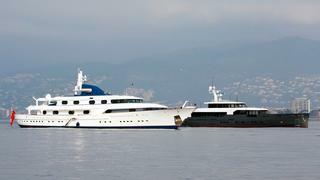 Also spotted at the Cannes Film Festival was the adventurous 69.65m superyacht Sherakhan, featured previously on BoatInternational.com when she circumnavigated the globe, and the famous Octopus, _owned by Microsoft founder Paul Allen. Measuring 126.19m, _Octopus is a permanent fixture in our list of the top 200 largest yachts in the world (currently in 14th place). Octopus was spotted arriving in the French Riviera days ahead of the Cannes Film Festival, when she reportedly left Cannes and headed to St Jean-Cap-Ferrat during the weekend. She left there on Sunday for a day in Portofino, returning to the Côte d'Azur for the Film Festival. Dilbar, also pictured, is just one of the eight kinds of yachts you'll find at the Cannes Film Festival. Tempted to join them? I's not too late to charter a yacht for Cannes and make a grand entrance, too. Octopus was spotted arriving in the French Riviera days ahead of the Cannes Film Festival, when she reportedly left Cannes and headed to St Jean-Cap-Ferrat during the weekend. She left there on Sunday for a day in Portofino, returning to the Côte d'Azur for the Film Festival. Dilbar, also pictured, is just one of the eight kinds of yachts you'll find at the Cannes Film Festival. Tempted to join them? I's not too late to charter a yacht for Cannes and make a grand entrance, too. 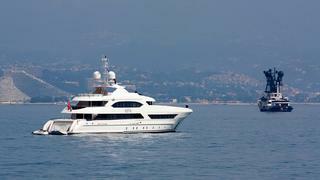 Andreas L and Diane are moored off the Riviera, not far from the Cannes film festival mayhem. The 60m Benetti superyacht Andreas L is currently for sale asking €29 million. 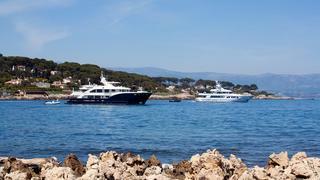 Andreas L and Diane are moored off the Riviera, not far from the Cannes film festival mayhem. 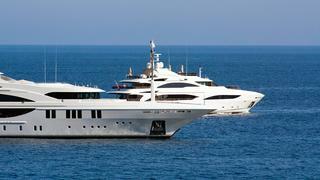 The 60m Benetti superyacht Andreas L is currently for sale asking €29 million. Spotted at the Cannes film festival: The classic Jon Bannenberg-designed Cleopatra, left, cuts a stark contrast to the sleek, new Logica 147. 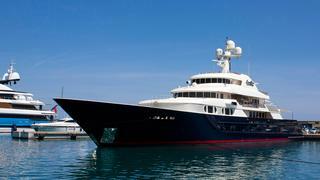 The Trinity superyacht Cocoa Bean is newly launched by the US yard and primed for the Cannes film fest festivities. Newcomer Asya and world-roaming explorer yacht Arctic P are red-carpet ready. Look for these two at the Cannes film festival. The sailing set is in on the Cannes film fest action as well. Here sailing yachts Nariida and Lush, the latter owned by Boat International contributor and F1 boss Eddie Jordan, make their entrance in Cannes. 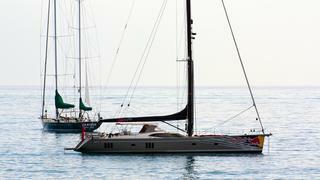 F1 fans should know that the Oyster sailing yacht Lush is currently for sale. These two ladylike superyachts, Lady Jade and Lady India, are ready to let loose and join the party of the 2015 Cannes film festival.